Click "download" to the left to get an even larger version than full view. It's really hard to get a good photograph of this since it's too large for the scanner. I may try to scan parts of it later for higher quality. On the bright side my camera does pick up the metallic parts much better than a scanner can. Please leave me a comment if you use the stock, I'd love to see what you did with the image... or add it to your favorites if you liked it. I'll be sure to keep adding more material if I know it's helpful! I've left credit with the character and I'm hoping to use it on Crinkle's skirt throughout the comic which has yet to be launched but I will link it here too and I'll leave your link there too. Why do we have to change this? to use it. I bought this same paper. I have this hand made paper in two dofferent colors. Used here, thank you so much, beautiful texture !! What a beautiful background. How can I download it? I was trying to download your absolutely stunning texture, but couldn't seem to do so. I clicked on the "download" button but I only got a larger version. By any chance, do you know why that occurred? If so, I'd appreciate it. It's an awesome texture. I'd love to use it in my artwork. Thank you! Regarding comment above. I figured it out. Thanks again for sharing your lovely work. Hey! 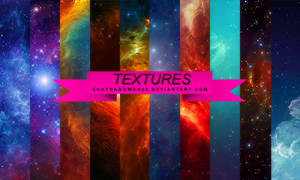 I found your texture online, and I hope it's okay, but I used it as part of the background in my personal blogg. Not very interesting right now, but here's a link if you want to see (oridrany.blogspot.com). Let me know if you want me to remove it. Thanks! Your picture seemed to fit the "Inkworld" theme the group wanted, but I didn't want to use it without your permission. Actually, it looks more like Godzookie, from the old Godzilla cartoon!